PlayStation Plus May Games Announced | Nerd Much? Sony has revealed the title’s headed your way thanks to your PlayStation Plus subscription this month. And while the PlayStation 4 offerings look decent this month, nothing included brings any real excitement. PlayStation 4’s headliner this month is Beyond: Two Souls. Presumably, Sony is rolling this game out as a nod to the developer, Quantic Dream. The studio’s upcoming AAA title, Detroit: Become Human, is a PlayStation 4 exclusive next month. 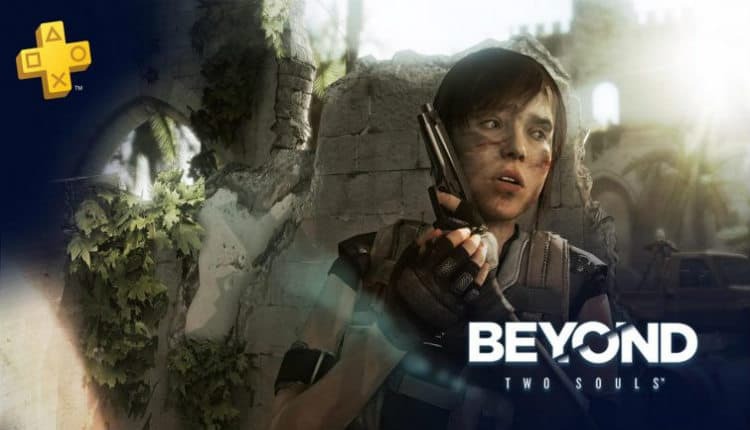 Beyond: Two Souls was the follow up to Quantic Dream’s 2010 classic, Heavy Rain. The trio of Quantic Dream games are all written and directed by the studio’s founder and CEO, David Cage. The game saw mixed to favorable reviews when it released in 2013. It currently holds a 70% on Metacritic. The next featured title on the PlayStation 4 this month is Rayman Legends. The game is considered a classic in the platforming genre. But having been released on the PlayStation 3 in September 2013, it’s extremely stale at this point. Again, the game is highly regarded. It has a Metascore of 90 on the PlayStation 4. So I suppose if you’ve yet to give it a whirl, now is your time. For the PlayStation 3 owners, Risen 3: Titan Lords and Eat Them! are headed your way. Eat Them! is a title originally released in December 2010 and fancies itself as a monster sim of sorts. You create your own monster and use it to destroy cities, eat citizens and fight against your friends as you battle to see who can do the most damage quickest. It holds a 65% on Metacritic. Risen 3: Titan Lords came in with a 36 Metascore following its August 2014 release. It’s an action RPG that was panned for being too similar to earlier games in the Risen series. It also apparently had serious bug issues within the PlayStation 3 version. King Oddball appears to be an Angry Birds knock-off puzzler. It received a 66 average from critics when it debuted in 2016. Both it and Furmins are now available on iOS and Android devices too. That wraps up the month of May for PlayStation Plus offerings. Hopefully Sony can surprise folks one of these months and actually deliver something to get excited about. But hey, when your first party games are performing so well, who the hell cares?